Habitat loss and fragmentation reduce population sizes and increase isolation between populations. To better understand how functional connectivity is affected by habitat modification over large scales, we here applied a meta-population framework to the Brazilian Atlantic Forest, a highly degraded and fragmented biodiversity hotspot. Other studies have used mainly hypothetical or estimated dispersal values for connectivity calculation which may not be reflective of species requirements. Here, we collated dispersal values for 45 species of birds, 5 mammals and 4 insects and found that 50% of the Atlantic Forest species can cross only up to 150m of open gaps between forest patches. Because of the high levels of fragmentation, the median size of a functionally connected network of fragments in the Brazilian Atlantic Forest only decreased from 15ha to 14ha when the crossable distance considered was reduced from 150m to 0m. We show that for species solely reliant on native forest habitat, a large proportion of the remaining Atlantic Forest fragments represent many small and isolated populations with few large connected areas. Our results support further evidence that for future management and restoration to be successful, existing connectivity must be vastly improved to provide forest areas large enough to support viable populations. Human orchestrated land-use change greatly reduces local terrestrial biodiversity (Newbold et al., 2015) with the loss and fragmentation of native habitat, among other processes causing reductions in population sizes (Bender et al., 1998). Given limited resources for conservation and management, it is important to prioritise areas with the highest current value and best long-term potential for the conservation of species at risk and biodiversity as a whole. Regions with the potential to support viable populations of native fauna therefore need to be identified to inform ongoing protection and future restoration. The viability of populations in fragmented landscapes can be best viewed from the perspective of meta-population theory, where the population size in any given landscape is affected by the size and connectivity of its patches (Hanski, 1998). Population size is strongly dependent on patch size (Bender et al., 1998), but populations in small patches may still be viable if sufficient gene flow exists between different populations (Jamieson and Allendorf, 2012). Gene flow is affected by distance between habitat patches, but not all species are able to move between habitats patches in the same way (Barbosa et al., 2017). For these reasons, functional connectivity, which quantifies how the behaviour of organisms influences landscape connectivity, is increasingly being used and recommended as an assessment of potential dispersal between patches (Bélisle, 2005; Taylor et al., 1993; Tischendorf and Fahrig, 2000). Meta-population theory thus allows for the calculation of population size as a function of size and functional connectivity of a network of patches, which can be compared to the minimum viable population size (MVP) as a measure of population persistence. Although viable population sizes for vertebrates are heavily disputed, making cross taxa generalisations unreliable, critics still conclude the number of individuals needed for a MVP is more likely in the thousands, rather than in the hundreds (Flather et al., 2011; Jamieson and Allendorf, 2012). The Atlantic Forest of Brazil is a highly fragmented and degraded biome, with only 11.7% of the original vegetation cover remaining (Ribeiro et al., 2009). There have been numerous studies analysing the effects of habitat loss and fragmentation (Banks-Leite et al., 2014; Joly et al., 2014; Martensen et al., 2008; Pardini, 2004), but few have assessed functional connectivity at the biome scale. Ribeiro et al. (2009) examined the structural and functional connectivity of fragments across the whole Brazilian Atlantic Forest using a number of different inter-fragment dispersal distances but did not model the viability of populations across those fragments. More recently, Crouzeilles et al. (2014) used six hypothetical species with a range of inter-patch dispersal abilities and real Atlantic Forest landscapes to investigate which landscape factors most influenced the amount of accessible habitat. They found that patch configuration became an important determinant of how much habitat can be accessed when native forest cover fell below 50%. In a later study Crouzeilles et al. (2015) assessed the value of 2000ha Atlantic Forest landscapes from the perspective of two mammal species using empirical dispersal records, as well as prediction based on species traits. High concordance was found between the two species, despite their highly contrasting dispersal abilities, however it remains to be seen if they are truly representative of the majority of species. This study builds upon previous research through the application of functional connectivity methods in combination with empirically derived parameter estimates to assess population viability across the entire region. Unlike many studies we focus on species based empirical estimates. Our goals are as follows: first, we assess the distribution of dispersal abilities and home range sizes for the Brazilian Atlantic Forest fauna using available literature. Second, we evaluate how functional connectivity in the region varies across the range of observed values of dispersal ability. Lastly, we ask what are the potential meta-population sizes for three focal species, selected to represent the variation in both dispersal ability and home range size. To obtain data on the ability of species to move between habitat patches (dispersal ability) and the area of habitat needed for a home range (home range size), we searched the ISI Web of Knowledge, Elsevier ScienceDirect and Google Scholar between 2014 and 2015 focusing on currently extant species (IUCN, 2015; Stotz et al., 1996) within the Brazilian Atlantic Forest. We used each of the following terms – “functional connectivity” OR “gap crossing” OR “dispersal ability” OR “movement patches” OR “movement fragments” and then “home range size” OR “territory size”. To collect additional home range information, we targeted individual species for which we had collated dispersal data (as described above) by searching the species name and “home range size” or “territory size” to gather as many area requirement estimates as possible. 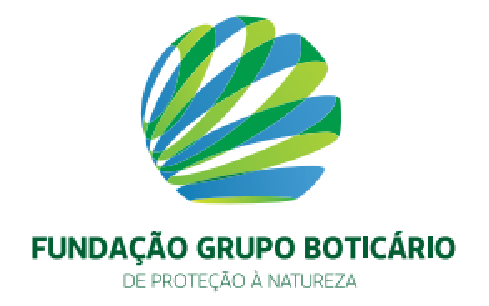 Searches were further refined by including the term “Brazilian Atlantic Forest”. We included dispersal and home range estimates from other regions of Brazil (e.g. Amazonia) as long as the species also occurs in the Brazilian Atlantic Forest. Only forest specialist species (based on habitat usage information in: Emmons, 1997; IUCN, 2015; Nowak, 1991; Stotz et al., 1996) were retained for the analysis. Bat species were excluded due to the difficulties associated with home range calculation. Dispersal distance measures were defined as the maximum recorded distance moved through open habitat, such as grassland, pastureland and forest roads. We calculated the median and quartiles for dispersal distance across all species. Regarding home range and territory size, where multiple methods were used in a single paper, we adopted the values produced by larger datasets or by methods considered as most reliable by the studies’ authors. Where information on the type of landscape was given (continuous or fragmented) we chose estimates from continuous habitat to gain an accurate estimate of the forested area required. For species with multiple entries, we calculated the mean home range size from the raw values for individuals, where provided, producing a species average across genders and locations. Home range size is likely to differ throughout a species’ range due to differences in resource availability (Nilsen et al., 2005), therefore for a large area such as the Brazilian Atlantic Forest an average area requirement provides the best approximation. To quantify functional connectivity, we used vector maps of the Brazilian Atlantic Forest (SOS Mata Atlântica and Instituto Nacional de Pesquisas Espaciais, 2014) covering the period of 2012–2013 and using Albers equal area projection on the 1969 South American Datum. The minimum fragment area mapped was 3ha and we excluded coastal habitat fragments of mangrove and restinga. ESRI ArcGIS Desktop v.10 (ESRI, Redlands, CA, USA) and R v. 3.3.2 (R Core Team, 2016) with the packages raster (Hijmans, 2016) and rgeos (Bivand and Rundel, 2016) were used for all analyses with administrative boundaries from http://www.gadm.org. From this vector data, we determined for each fragment, which other fragments can be considered connected for a given inter-fragment dispersal distance using rasterization of the buffered (radius of half the inter-fragment dispersal distance) vector data at a resolution of 10m to ensure high precision. To assess how functional connectivity varied with dispersal ability, we used each of the quartile distances from the gap crossing review separately as the maximum inter-patch crossing distance to represent typical species with low, medium and high dispersal. We prefer to use a minimum dispersal distance of 0m, rather than the observed minimum of 7m to model a total absence of dispersal between patches. This enabled us to produce a set of connected subgraphs, each representing a meta-population of fragments that are likely to be functionally connected by species’ dispersal (Urban and Keitt, 2001). For each subgraph, we calculated the total habitat area across fragments. We then repeated the process described above for quantifying functional connectivity for three focal species with contrasting patterns of space use to finally calculate potential meta-population sizes (Table S1). Thamnophilus caerulescens is a predominantly insectivorous antbird with poor dispersal (60m) and small home range size (1ha). Sittasomus griseicapillus is an insectivorous woodcreeper with intermediate dispersal (200m) and large home range size (36.7ha). Philander frenatus is a medium-sized, nocturnal opossum with good dispersal (1050m) and intermediate home range size (2.8ha). We first removed fragments falling outside the range maps of the species’ bio-geographic distribution (mammals: IUCN, 2016; birds: BirdLife International and NatureServe, 2015). We then used our estimated dispersal distance (maximum inter-patch crossing distance) for each of the three species modelled to calculate the area of each subgraph and divided by the species’ home range size to estimate the number of breeding territories in the meta-population. Assuming all territories are occupied by breeding pairs, we doubled this number to estimate adult population size. Where minimum and maximum home range sizes were available for a species, we calculated three population sizes, based on the minimum, mean and maximum home range size. Dispersal distances were obtained for 54 species (Table S1): 45 species of birds, 5 mammals and 4 insects. The dispersal distance quartiles were as follows: 0%=7m, 25%=50m, 50%=150m, 75%=425m, 100%=1340m. Home range area requirement estimates were found for 17 of these species (14 birds, 3 mammals) with a median area requirement of 7ha. We found that a species would need to disperse large distances over open habitat and have a small home range requirement to accomplish large populations across the Brazilian Atlantic Forest. Our results show that the median connected network size is between 14 and 25ha (0m dispersal: 14ha; 50m: 14ha; 150m: 15ha; 425m: 18ha; 1340m: 25ha). The relationship between dispersal distance and median network size is strongly non-linear: marked increases in network size only occur above the 75th quantile for dispersal distance. In addition, network sizes are strongly right skewed (Fig. 1): large connected networks exist (4443 networks larger than 100ha for the maximum dispersal distance), but most networks are only able to support small isolated populations. T. caerulescens: A total of 32,054 (14.6% of all connected networks) networks were large enough to support 100 or more individuals (Fig. 2) with a range of 20,302 (9.2%) to 54,859 (24.9%) dependent upon whether the maximum (1.5ha) or minimum (0.6ha) home range sizes were used. The majority of connected networks are only able to support small populations (median: 28 individuals) of this species. Only 253 (0.1%) areas were able to support 5000 or more individuals. S. griseicapillus: Just 666 (0.4%) connected networks supported 100 or more individuals (Fig. 2). A total of 8 networks could support a population of 5000 or more individuals. The median sized network was unable to support any individuals, suggesting that the majority of connected networks are unable to support S. griseicapillus populations. Philander frenatus: A total of 2261 (12.0%) networks were able to support 100 or more individuals (Fig. 2). This figure ranged between 943 (5.0%) and 7472 (39.8%) when the maximum (7.4ha) and minimum (0.6ha) home range sizes were used. The median population size was 15 individuals suggesting that most networks still only support small populations. A total of 53 (0.3%) networks can support 5000 or more individuals. In this study, we used the concept of functional connectivity to assess the viability of Brazilian Atlantic Forest remnants to support large populations. Our results indicate that although many patch networks can easily accommodate individual home ranges, the majority of the Brazilian Atlantic Forest contains very few large networks of functionally connected forest fragments able to support large populations. The majority of areas appear to be only able to support small populations which are unlikely to be viable in the long term unless frequent dispersal over distances longer than those already documented exists. This means that if a species is unable to cross large distances between habitat patches or utilise the matrix habitat, then its long term survival is questionable. Considering functional connectivity alone, moderate increases in habitat availability were not obtained until the largest inter-patch crossing distance (1340m) found in our review was considered and this is due to the fact that the average distance between fragments is 1440m (Ribeiro et al., 2009). In other words, the average inter-patch distance is greater than the highest recorded dispersal distance for the forest specialist species in the Brazilian Atlantic Forest. Low levels of functional connectivity were also found by Crouzeilles et al. (2015), who examined the functional connectivity in the Brazilian Atlantic Forest from the perspective of two mammals – Leopardus pardalis and Caluromys philander. Both studies show that whereas some highly connected areas do exist, large sections of the Brazilian Atlantic Forest have low connectivity for the majority of its fauna. Although it is difficult to determine what constitutes a viable population, especially across multiple taxa, the estimate made by Traill et al. (2010) that a population of 5000 individuals can be considered viable indicates that very few locations can support viable populations in the long term. We found that many species are likely restricted to large connected areas, which makes them vulnerable to other pressures, such as habitat degradation and further habitat loss in future. It also means that species are likely to become locally extinct in many areas. The rarity of these clusters emphasises the vulnerability of the whole region as the destruction of any of these clusters would be a large loss relative to what remains. When considering the species based predictions it can be seen that the species that are able to maintain large populations have high dispersal distances and small home ranges. Species such as T. caerulescens with its small home range requirement (1ha) or Philander frenatus with its high dispersal ability (1050m) are likely to persist but may still become locally extinct over large areas of their Atlantic Forest range. Species such as S. griseicapillus with larger home range requirements are likely to only persist in the best connected areas. Making predictions for the whole Atlantic Forest is difficult due to the fact that dispersal distance and area requirement information is available for very few Brazilian Atlantic forest species and the fact that animal movement is influenced by multiple factors making the calculation of these parameters difficult over large areas (Doherty and Driscoll, 2018). Accurate parameters are extremely important as relatively small changes can alter the results (Fig. 2). The species for which data are available do however suggest that the current state of fragmentation is deeply detrimental even allowing for variation in home range size and dispersal estimates (Figs. 1 and 2). This mounting evidence strongly suggests that many fragmented areas of the Brazilian Atlantic Forest are no longer able to support a high proportion of the species they contained pre-fragmentation. Changes in species composition are not only of concern for biodiversity conservation but may also result in a change in the ecosystem functions (De Coster et al., 2015). If the amount of remaining forest is too low a species may be completely absent from the whole area and therefore unable to move into newly created habitat. As we have found that a large increase in structural connectivity is required to functionally reconnect large areas of the Atlantic Forest, we suggest that by reforesting around existing connected networks likely to harbour large populations, the overall population size can be increased. In addition this means that organisms can move into the new habitat without assistance and reforestation around existing highly connected areas will expand the size of these networks (Tambosi et al., 2014). The largest gains in functional connectivity when increasing dispersal distance are indeed observed in the vicinity of existing large connected networks. This can be clearly seen when comparing (Fig. 3C) the functionally connected area considering 0m (Fig. 3A) and 150m (Fig. 3B) respectively. Recent research suggests that approximately 30% native vegetation cover is required to maintain community integrity (comparable to continuously forested landscape) and that reforestation can be achieved at an affordable cost (Banks-Leite et al., 2014). Reforestation could produce suitable habitat for the species that have become locally extinct but realisation of this credit is clearly dependent upon the landscapes species pool and the amount of remaining forest (Lira et al., 2012; Pardini et al., 2010). Map showing log10 of maximum functionally connected area (ha) values for 10,000ha landscapes (see colour gradient) in Albers equal area projection. Functional connectivity was based on an inter-patch dispersal distance of 0m (A) and 150m (B). Panel C shows the difference in connected area when inter-patch dispersal distance is increased from 0m (A) to 150m (B). We found that although areas able to support viable populations are rare, thousands of sub-optimal populations exist across the biome. Evidence for a time lag between deforestation and extinction creating an extinction debt has been found previously for the Atlantic Forest (Brooks et al., 1999; Lira et al., 2012). Although local extinction of bird species has occurred (Ribon et al., 2003) conclusive reports of species extinction are yet to be documented (Brooks et al., 1999). Populations that are no longer viable due to landscape changes may continue to exist due to the longevity of individuals or via rare events of long distance migration from more suitable habitat. The sub-optimal populations may be experiencing a delayed effect of the landscape changes explaining why species have not yet become extinct at the biome level. Although the sub-optimal populations may be able to survive in the short term their long term persistence looks less likely, especially considering future threats such as climate change. The climatic conditions in the Atlantic Forest remnants are predicted to change creating novel environments (Loiselle et al., 2010) – small sub-optimal populations are unlikely to have the resilience required to sustain the changes in habitat quality this will bring. Our results have revealed that for many species large proportions of the Brazilian Atlantic Forest are comprised of small isolated habitat patches, in which they are vulnerable to local extinction. To ensure the long-term survival of the forest's many endemic species, urgent effort is needed to improve functional connectivity and connect and reforest around the remaining core areas. This would be best achieved by improving functional connectivity and habitat area around the remaining large networks, allowing organisms to disperse into previously isolated habitat thus reversing local extinctions. Only by improving functional connectivity can the long-term integrity of the Atlantic Forest native species community be maintained. This research was funded by the Natural Environment Research CouncilNE/K016393/1. We would like to thank Richard Gill, Matthew Struebig, Víctor Arroyo-Rodríguez, Renato Crouzeilles and Fabio Barros for their helpful comments on earlier versions of this work. C. Banks-Leite, R. Pardini, L.R. Tambosi, W.D. Pearse, A.A. Bueno, R.T. Bruscagin, T.H. Condez, M. Dixo, A.T. Igari, A.C. Martensen, J.P. Metzger. Using ecological thresholds to evaluate the costs and benefits of set-asides in a biodiversity hotspot. K.V. de C. Barbosa, C. Knogge, P.F. Develey, C.N. Jenkins, A. Uezu. Use of small Atlantic Forest fragments by birds in Southeast Brazil. Measuring landscape connectivity: the challenge of behavioral landscape ecology. D.J. Bender, T.A. Contreras, L. Fahrig. Habitat loss and population decline: a meta-analysis of the patch size effect. Bird species distribution maps of the world. Bivand, R., Rundel, C., 2016. rgeos: Interface to Geometry Engine – Open Source (GEOS). R package version 0.3-26. https://cran.r-project.org/package=rgeos. T. Brooks, J. Tobias, A. Balmford. Deforestation and bird extinctions in the Atlantic forest. R. Crouzeilles, H.L. Beyer, M. Mills, C.E.V. Grelle, H.P. Possingham. Incorporating habitat availability into systematic planning for restoration: a species-specific approach for Atlantic Forest mammals. R. Crouzeilles, J.A. Prevedello, M. de S.L. Figueiredo, M.L. Lorini, C.E.V. Grelle. The effects of the number, size and isolation of patches along a gradient of native vegetation cover: how can we increment habitat availability?. G. De Coster, C. Banks-Leite, J.P. Metzger. Atlantic forest bird communities provide different but not fewer functions after habitat loss. Coupling movement and landscape ecology for animal conservation in production landscapes. C.H. Flather, G.D. Hayward, S.R. Beissinger, P.A. Stephens. Minimum viable populations: is there a “magic number” for conservation practitioners?. Hijmans, R.J., 2016. raster: Geographic data analysis and modeling. R package version 2.6-7. https://cran.r-project.org/package=raster. IUCN, 2016. Philander frenatus. The IUCN Red List of Threatened Species. http://www.iucnredlist.org. Downloaded 01/2016. IUCN, 2015. The IUCN Red List of Threatened Species 2015. http://www.iucnredlist.org. How does the 50/500 rule apply to MVPs?. C.A. Joly, J.P. Metzger, M. Tabarelli. Experiences from the Brazilian Atlantic Forest: ecological findings and conservation initiatives. P.K. Lira, R.M. Ewers, C. Banks-Leite, R. Pardini, J.P. Metzger. Evaluating the legacy of landscape history: extinction debt and species credit in bird and small mammal assemblages in the Brazilian Atlantic Forest. B.A. Loiselle, C.H. Graham, J.M. Goerck, M.C. Ribeiro. Assessing the impact of deforestation and climate change on the range size and environmental niche of bird species in the Atlantic forests, Brazil. A.C. Martensen, R.G. Pimentel, J.P. Metzger. Relative effects of fragment size and connectivity on bird community in the Atlantic Rain Forest: implications for conservation. T. Newbold, L.N. Hudson, S.L.L. Hill, S. Contu, I. Lysenko, R.A. Senior, L. Börger, D.J. Bennett, A. Choimes, B. Collen, J. Day, A. De Palma, S. Díaz, S. Echeverria-Londoño, M.J. Edgar, A. Feldman, M. Garon, M.L.K. Harrison, T. Alhusseini, D.J. Ingram, Y. Itescu, J. Kattge, V. Kemp, L. Kirkpatrick, M. Kleyer, D.L.P. Correia, C.D. Martin, S. Meiri, M. Novosolov, Y. Pan, H.R.P. Phillips, D.W. Purves, A. Robinson, J. Simpson, S.L. Tuck, E. Weiher, H.J. White, R.M. Ewers, G.M. Mace, J.P.W. Scharlemann, A. Purvis. E.B. Nilsen, I. Herfindal, J.D.C. Linnell. Can intra-specific variation in carnivore home-range size be explained using remote-sensing estimates of environmental productivity?. Effects of forest fragmentation on small mammals in an Atlantic Forest landscape. R. Pardini, A. de A. Bueno, T.A. Gardner, P.I. Prado, J.P. Metzger. Beyond the fragmentation threshold hypothesis: regime shifts in biodiversity across fragmented landscapes. M.C. Ribeiro, J.P. Metzger, A.C. Martensen, F.J. Ponzoni, M.M. Hirota. The Brazilian Atlantic Forest: how much is left, and how is the remaining forest distributed? Implications for conservation. R. Ribon, J.E. Simon, G. Theodoro De Mattos, G.T. Mattos. Bird extinction in Atlantic Forest fragments of the Viçosa region, southeastern Brazil. SOS Mata Atlântica and Instituto Nacional de Pesquisas Espaciais, 2014. Atlas dos remanescentes florestais da mata atlântica período 2012–2013. D.F. Stotz, J.W. Fitzpatrick, T.A. Parker, D.K. Moskovits. L.R. Tambosi, A.C. Martensen, M.C. Ribeiro, J.P. Metzger. A framework to optimize biodiversity restoration efforts based on habitat amount and landscape connectivity. P.D. Taylor, L. Fahrig, K. Henein, G. Merriam. Connectivity is a vital element of landscape structure. On the usage and measurement of landscape connectivity. L.W. Traill, B.W. Brook, R.R. Frankham, C.J.A. Bradshaw. Pragmatic population viability targets in a rapidly changing world. Landscape connectivity: a graph-theoretic perspective.